Do you prefer an ebook option? All files are in PDF format, identical to the print version. Mac and Windows compatible. Regular ebook price is $15.95. An Even-Better Deal! $35 Combo Price for The Star-Spangled State Book along with Joel King's new book - A Presidential Scrapbook! 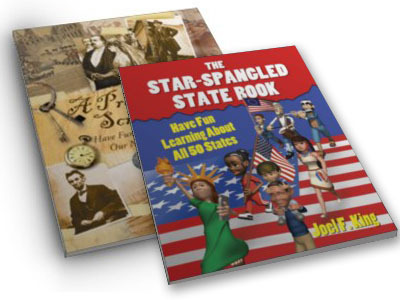 Purchase Joel F. King's The Star-Spangled State Book (retail $25.95) and A Presidential Scrapbook ($18.95) get them BOTH for just $35! You save $10.40 (33%) when you purchase both books. You can read more about A Presidential Scrapbook here.